You can learn about a culture by looking at iconic artwork or inspiring architecture — and also by examining seemingly mundane cultural products like dolls. “The first book we read,” he says, “is Barbie’s Queer Accessories,” by Erica Rand, the college’s Whitehouse Professor of Art and Visual Culture. Rand’s book, combined with Barbie’s powerful and familiar image, provides a “good vehicle to get people thinking about gender, class, sexuality, sexual orientation, and race in American culture,” he says. But Barbie is only half the story. A few years ago, Leena Nasser ’12 of Dhahran, Saudi Arabia, took Danforth’s course and told him about Fulla dolls, a Barbie alternative marketed to children in Islamic countries. Nasser gave Danforth a Fulla doll and he later acquired another. Nasser later teamed with Danforth to lead a Short Term to Saudi Arabia, an experience that led to Danforth’s recent book and the landmark Bates Museum of Art exhibition Phantom Punch: Contemporary Art from Saudi Arabia in Lewiston. 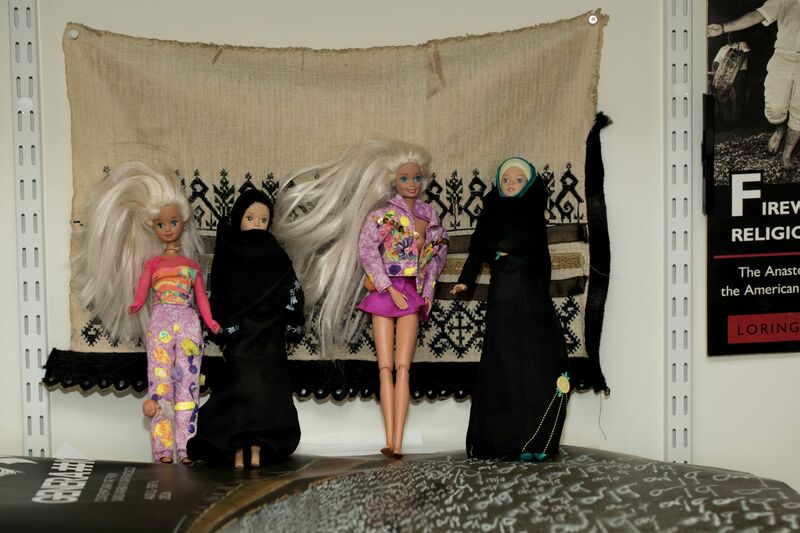 So that’s why, in Danforth’s office, two Fulla dolls, each dressed in a black abaya and head scarf, stand with two blonde Barbie dolls decked out in Western fashions. There on a shelf, their juxtaposition “raises all the issues about burkini bans and hijab bans and the relationship between what women wear and women’s rights,” he says.